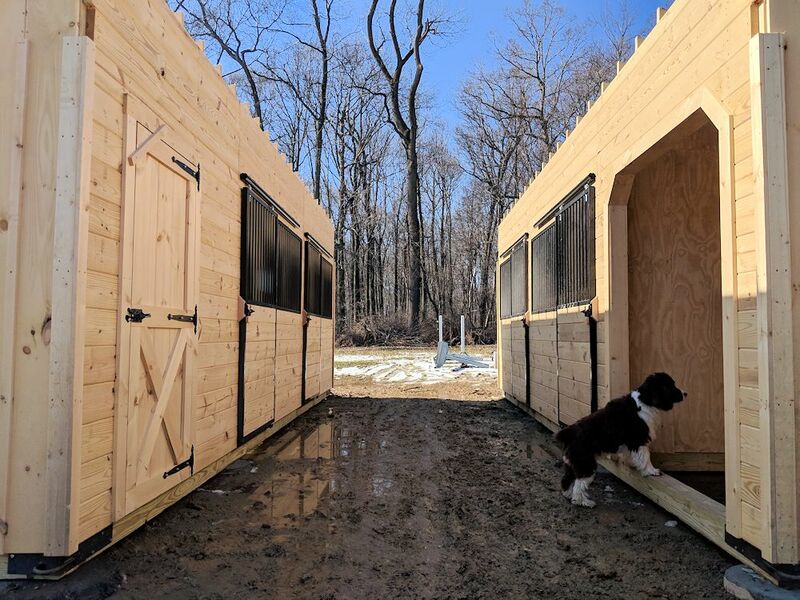 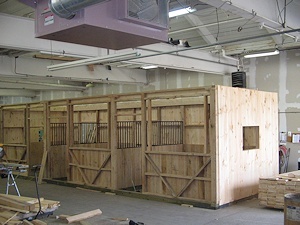 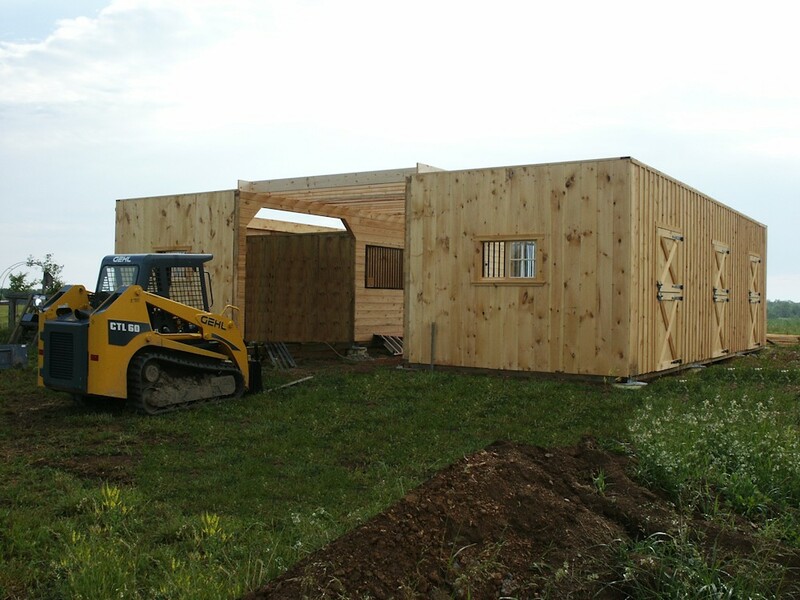 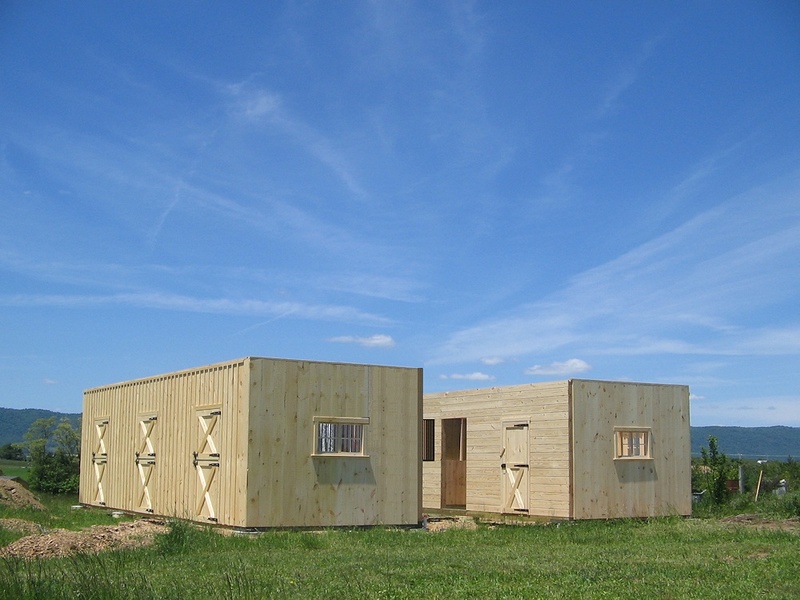 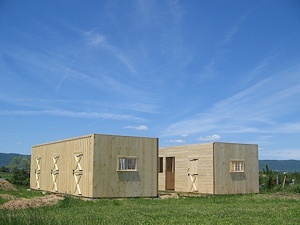 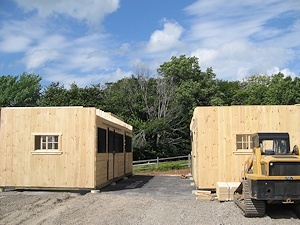 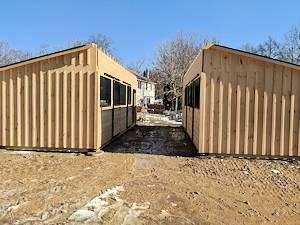 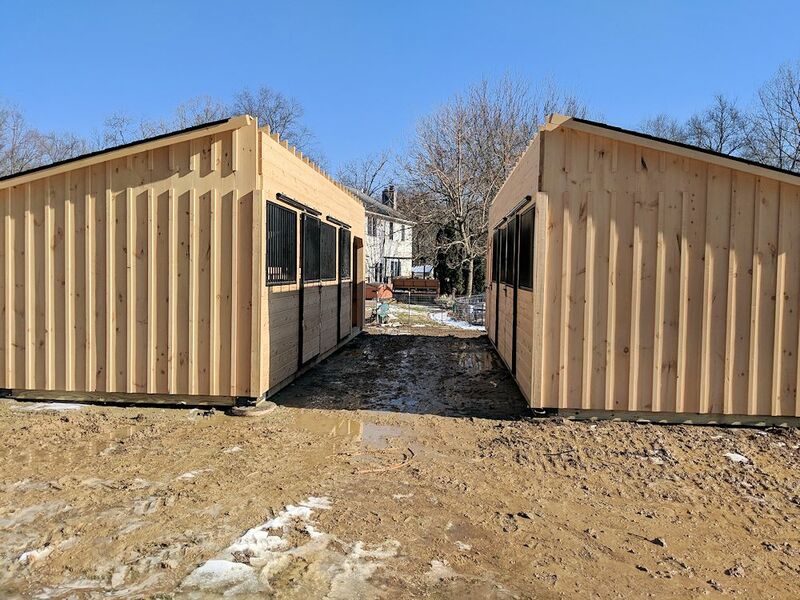 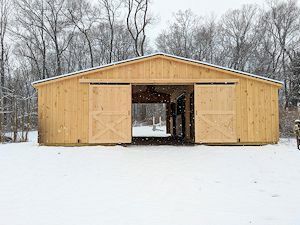 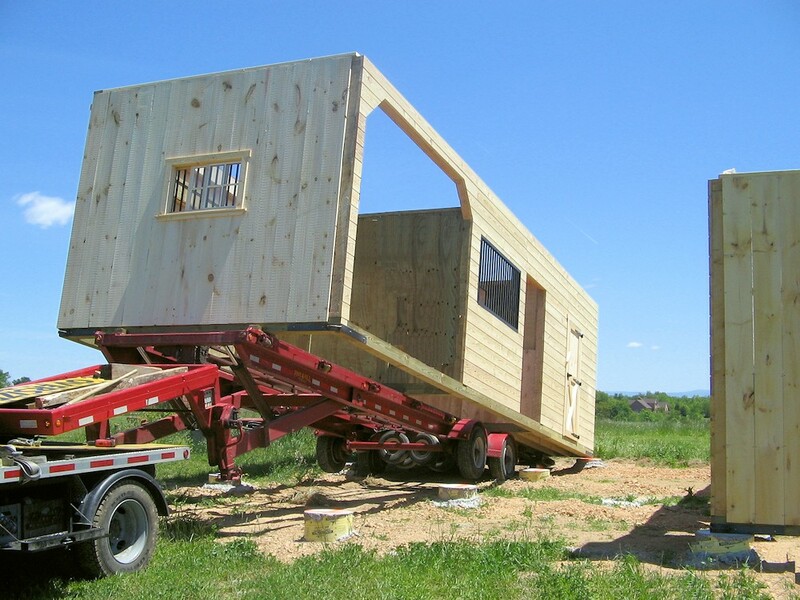 On this page, we show how we build both, Low and High Profile Modular Horse Barns. 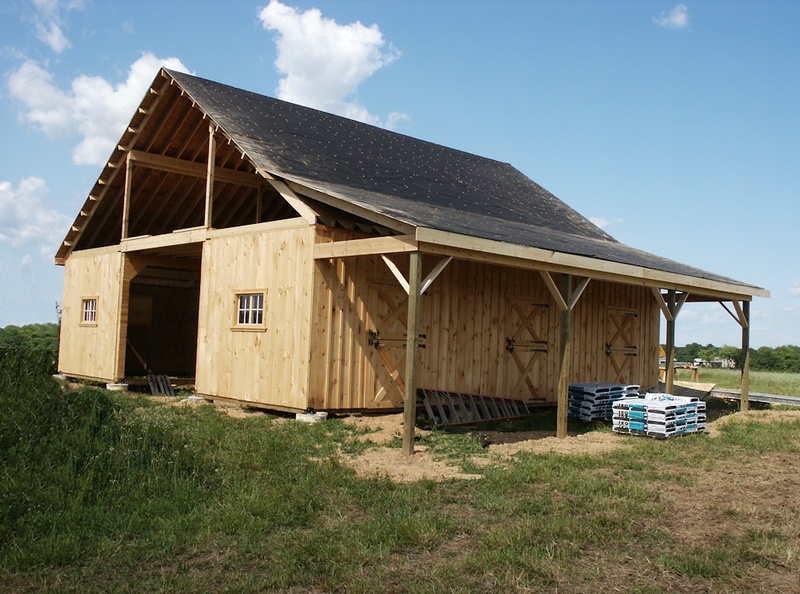 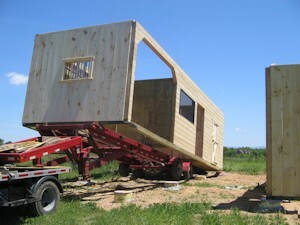 First, the barn sections are built in the shop, delivered and anchored to foundation. 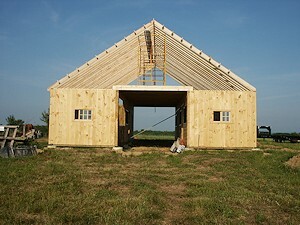 Later, the crew comes and builds roof, lean-to overhang, etc. on site. 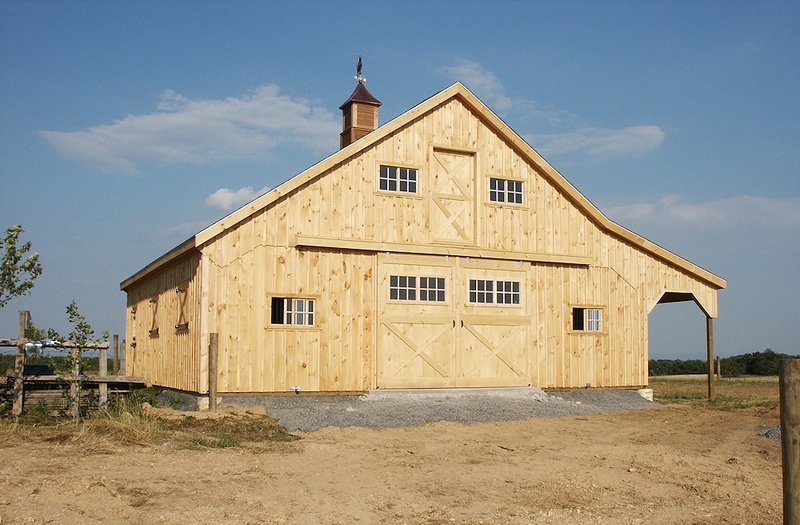 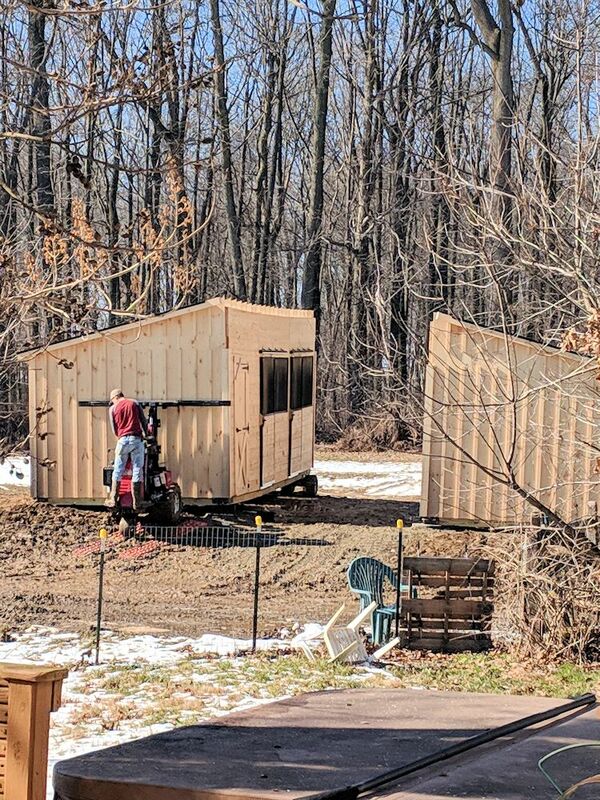 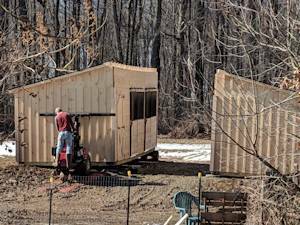 After the barn sections are delivered, assembly (set up) time usually takes about 1-2 days for Low Profile barn and 3-4 days for High Profile barn to complete. 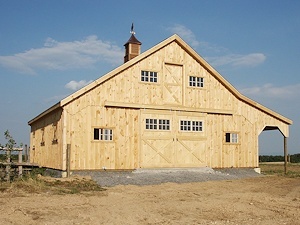 NOTE: Please note that this particular High Profile barn was built slightly different from our standard barns. 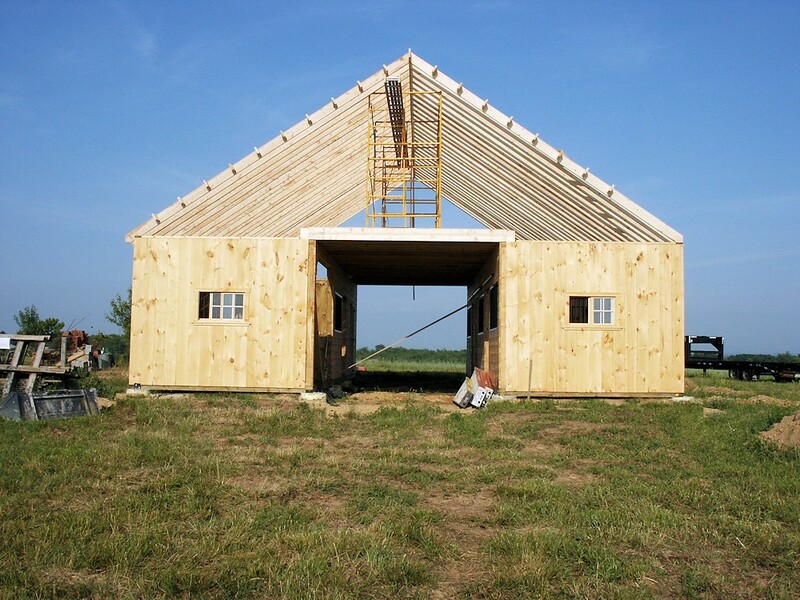 This barn has different windows, custom built loft door and options such as lean-to overhang and cupola on roof.